We are so thrilled about the Les Mills Combat Ultimate Warrior fitness program. It’s available for pre-order right now with FREE shipping! You can’t beat that deal now can you? 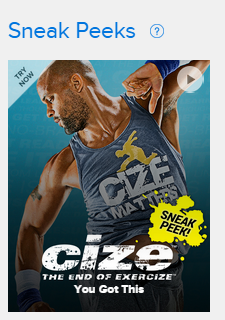 Plus you get a FREE exclusive bonus workout, Les Mills Combat 30: LIVE. Preorder now and have it delivered in time for the holidays! You need a great gift for yourself, right? Why Les Mills Combat Ultimate Warrior? There are 3 kits available and I had a pretty hard time figuring out which one to get. I wanted to share my decision making process with you so you can make an educated decision about which one to get too! Each Les Mills Combat kit is a 60-day work out that will truly transform your body by stripping away that fat from your arms, legs, and abs! 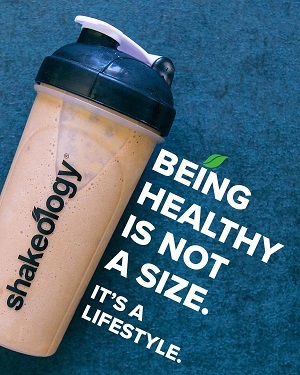 Sound like something you need? The 6 martial arts disciplines are big FAT burners that you have you burning up the calories like nobody’s business! So what’s the difference already? You can see the main difference is the Les Mills Combat training gloves. When you punch wearing these specially designed gloves, you’ll be burning even more calories and building stronger, leaner muscles. 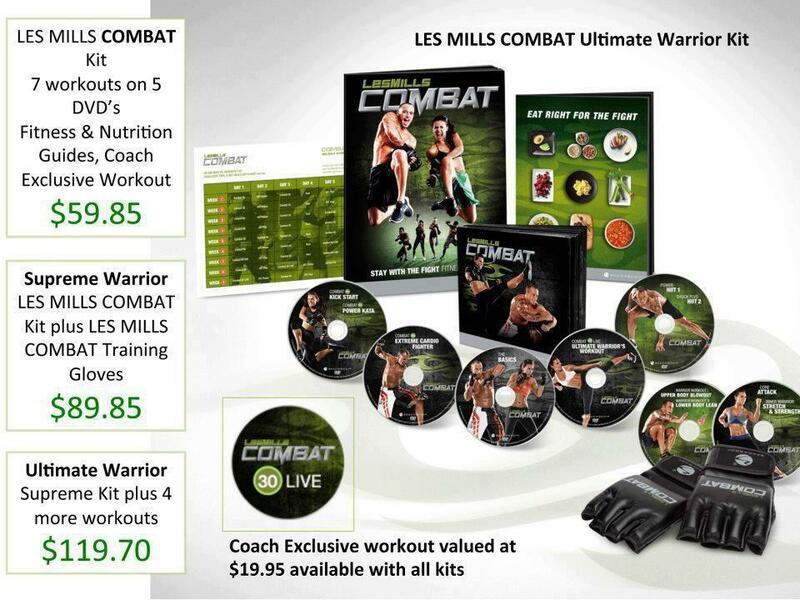 Now, let’s talk about the “Les Mills Combat Ultimate Warrior” fitness system. 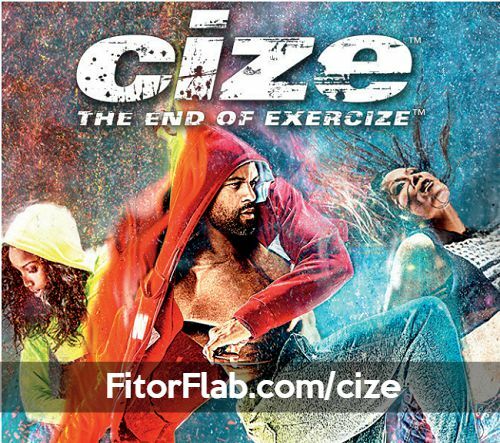 You get everything in the Supreme kit PLUS 4 more body shaping workouts for a total of 11. Wouldn’t you rather have 11 amazing Les Mills Combat workouts instead of 7? If you want even more variety in your workouts, this is definitely the kit for you! Take a look at the workouts. Remember, only the last 4 in the list are included in the Ultimate Warrior kit! THE BASICS – Shows you the techniques and movements used throughout all the Les Mills Combat workouts. CORE ATTACK – The very best integrated and isolated exercises to help give you the ultimate core strength while chiseling and shredding a serious six-pack. INNER WARRIOR: STRETCH AND STRENGTH – Martial arts–based strength and flexibility training to enhance your balance, coordination, and strength. WARRIOR WORKOUT 1: UPPER BODY BLOWOUT – Combines weighted moves with body resistance moves to help seriously sculpt and define your biceps, triceps, shoulders, core, and back. WARRIOR WORKOUT 2: LOWER BODY LEAN OUT – Strengthen and lengthen your entire lower body—hips, thighs, buns, calves, and core—with this combination athletic/mixed martial arts training workout. So, which one will it be for you, the Les Mills Combat Ultimate Warrior, Supreme, or Base? Those warrior work outs look to be intense and well-worth it. I am going for the Ultimate one! Now that you understand why Les Mills Combat Ultimate Warrior is the best, click here to order now!